This is a set of two HPI 26mm Vintage Stock Car Wheels, and are intended for use with the HPI 26mm "Narrow" Vintage Tire Series. These wheels offer ultra-realistic stock car looks with an innovative construction technique that replaces the low-profile look of most touring cars with scale tire sidewalls just like you see on super speedways! They are the perfect match for stock car bodies and bolt on to most 1/10th scale touring cars. 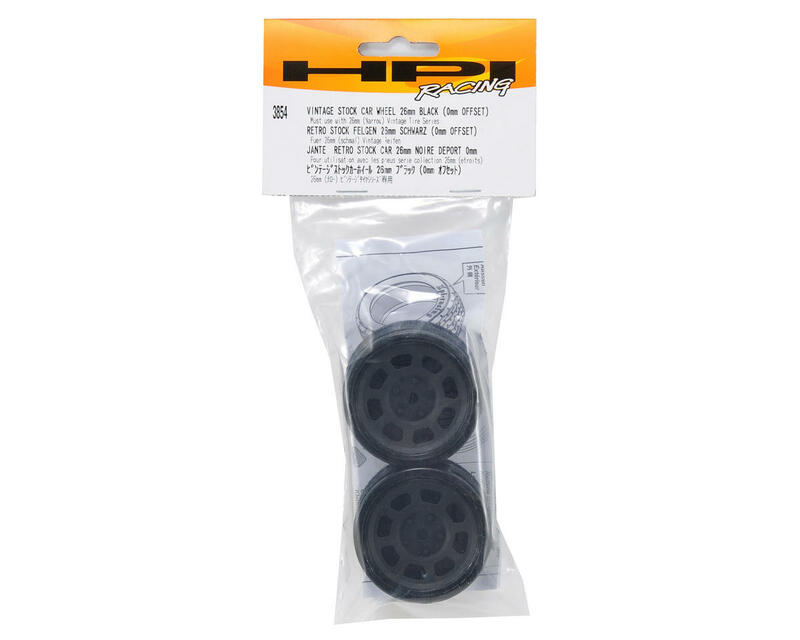 The HPI Vintage Tire and Wheel Series is available in 26mm and 31mm widths to fit a variety of body sizes. Choose 26mm for standard sizes, or the 31mm wheels for a wider stance. Four finishes are available: black, shiny chrome, gunmetal, and white. 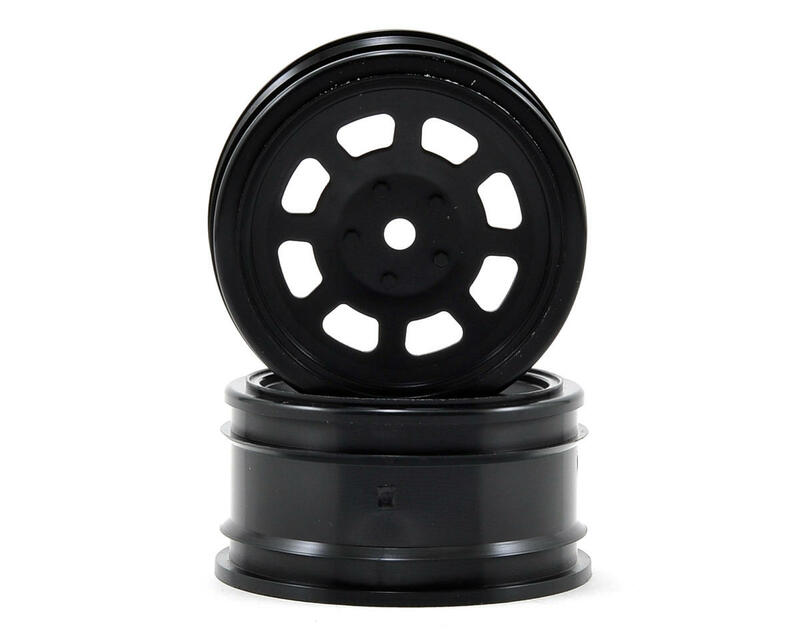 Because of the special sidewall construction, these wheels must be used with HPI Vintage Tires.